Chocolates, of course, but not just your bog-standard, off-the-shelf type of chocolates that were probably manufactured by mass machinery and produced months ago. No, we’re talking about the kind of chocolates that have been lovingly created by someone who spends all day imagining how to sum up Christmas in approximately 20g a bite. The kind of chocolate that makes you feel all warm and fuzzy inside when you bite into it and it instantly reminds you of your favourite Christmas of all time. PRALINES – Sorry, but yes pralines DO contain nuts ground down very finely so that the chocolate is nice and smooth. You simply HAVE to taste the festive selection so make sure you get there first. PARISIAN CREAMS – be considerate and save these for your grandparents, this will ensure they leave you something in their will – maybe more chocolates! MARZIPAN – love it or loathe it, you’ll just have to chance it…ours may actually convert you. TRUFFLES – wait till you taste the amaretto truffle but you’ll have to guess which one it is…you never know, if you close your eyes, make a wish and believe in Santa then this may be your lucky day. CHERRY LIQUEURS – these are quite easy to identify as there’s a stalk coming out of them. That’s because it really is a REAL cherry inside and you have to put the WHOLE thing in your mouth at once otherwise you’ll dribble Kirsch all down your new Christmas outfit. CHOCOLATE GINGERS – ginger is very good for your digestive system but if you’ve absolutely stuffed yourself then it’s unlikely these will help on this occasion – maybe just have one okay? LIQUEURS – these tend to be foil-wrapped and similar to the cherry liqueurs so they make a mess if you don’t put the whole thing in your mouth at once. If you have a full box of these make sure you don’t drink and drive afterwards. It’s called LOVE and you can never over indulge on it? LOVE for what we do and LOVE for YOU, our customers, who keep coming back to us year after year to buy our chocolates no matter what. Thank you ALL very much! P.S. If by any remotely impossible chance you are NOT happy with your chocolates this year then please email Santa and let him know. 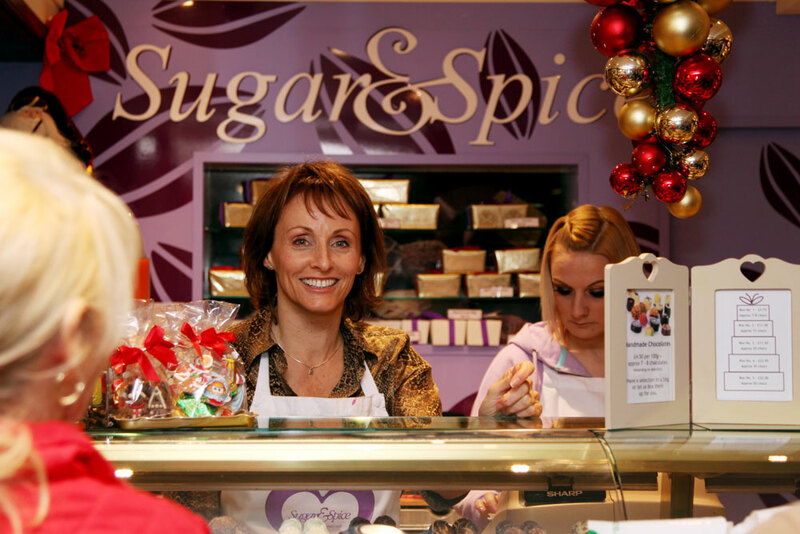 Alternatively, email his little elves with your dietary requirements or personal recommendations with the title “Chocolate Elf & Safety Dept” as the subject heading to info@sugar-and-spice.co.uk and we’ll see what we can do about it for Christmas next year. Scottish Gin Awards – The Winners! The Scottish Gin of the Year Award goes to…. 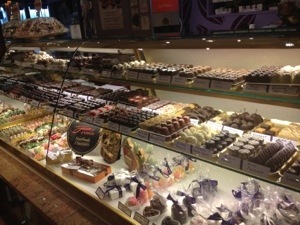 Sweet Shop Snippets on Free prize draw! Lisa bradley on Free prize draw!